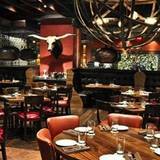 Alma Cocina introduces Atlanta to a refreshing new approach to contemporary Mexican cuisine. Bright, fresh ingredients and traditional regional influences come together with other Latin American flavors in vibrant fresh dishes that feel familiar and new all at once. We also feature the most unique tequila selections and a host of innovative Latin-influenced cocktails beyond a superior margarita. Whether your party is small or large; corporate or social; lunch, dinner or cocktails; Alma Cocina is the perfect spot for your next private dining event of up to 250. Please fill in your information below and Jamie Hillyer will contact you as soon as possible to book your event. If you’d prefer to talk now, please call us at (678) 302-3248.